Beet Kvaas – Bang-Up Bacteria – That's Natural! So, I have documented the steps of how to make the plain-jane version. I only learned this through some other amazing sites that made me feel confidant – my dear friend at GrassFood Farm and then this really hoot-of-a-series called “52 Weeks of Bad-A** Bacteria”. 1. 5-7 organic beets cut up into large cubic shapes (be sure and rinse your beets). To Beet or Not to Beet – THERE IS NO QUESTION! If you don’t have whey readily available, you can easily make it. Pick up some plain organic kefir and some cheese cloth, and simply strain the kefir through several layers of cheese cloth overnight. On the bottom of your bowl, you will have the whey that you need. 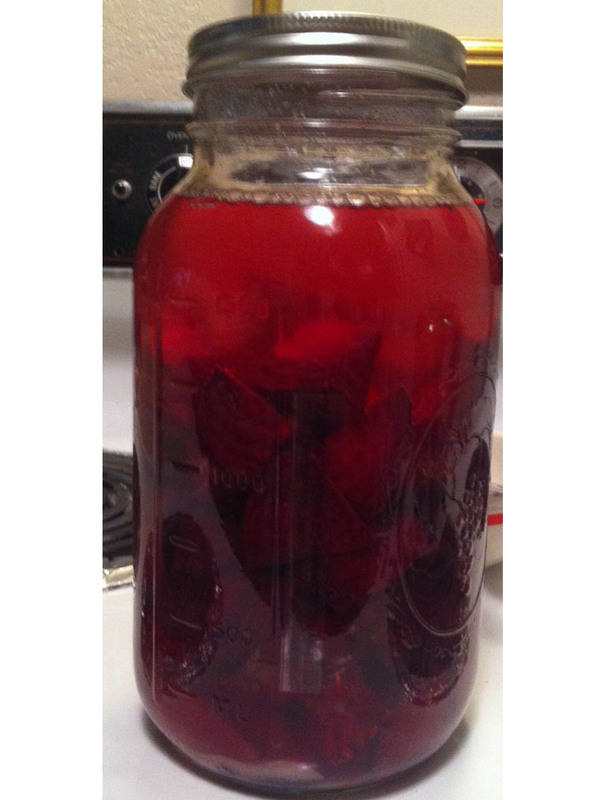 Put your cubed beets into a large (1/2 gallon) Mason jar. Over the beets, pour your 1/8 cup of whey, and the heaping tablespoon of salt. Pour the purified water into the container until about ¾ inch is remaining on top. Let this concoction sit on your counter or table for three days, and then put in the refrigerator for seven days. It will be ready to drink and has a nice, salty and fizzy disposition. I fell in love with this at my friend’s GrassFood Farm, and can now make it myself – a very powerful proposition. It is fun to be able to create your own menu, and very powerful to know how to grow your own food. If each of us were able to do even just little bit, it would add to our Food Freedom, Food Security, and levels of Fun (most importantly). Hehe I thinked, that you are great cook, when you are so enthusiastically writing about food. I do not like cooking because it takes too much time (unfortunately I’m not Jamie Oliver and I fail to get it for 30 minutes :-/), but I love good food, so when I want to eat good food, I have to cook or to visit grandma (every saturday on the family lunch). Yeah Tisha! We love beet kvaas as well. The last batch I made I left it out of the refrigerator longer to get more fizz, and it is just delicious, especially with the added lemon, ginger and garlic. Cheers! 🙂 We will try that next. Thank you SO much! !